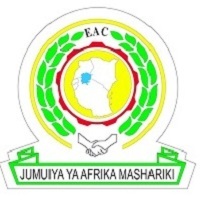 This is an exciting opportunity for highly motivated and result-driven professionals who are citizens of East African Community Partner States (Burundi, Kenya, Uganda, Rwanda, South Sudan and Tanzania,) to apply for the following short term position tenable at East African Community-Secretariat, Arusha, Tanzania . To ensure optimum operational and security levels of all EAC Local Area Networks (LANs), Intra and Extra-nets resources; and maintain a dynamic, timely and reliable ICT user Helpdesk services. Maintain and support all LAN and Wide Area Networks based at the EAC Headquarters. Recommend technical specifications for ICT and other network equipment. Assist users to identify information systems requirements and offer solution to implement hardware and software enhancements to meet user requirements. Manage and monitor Internet bandwidth usage. Day to day administration of existing networks systems, including firewalls, anti-viruses, anti-spams, and intrusion prevention, to ensure that ICT is best utilized to support all EAC business operations. Offer first line repairs and maintenance services to network equipment and associated peripherals. Implement ICT safety and security procedures. Installation, programming and maintenance of communication equipment such as routers, switches, PABX’s, voice based systems, etc. Oversee and provide technical help desk support to all ICT network users. Bachelors degree from recognized institution in Computer Science or a related field. Minimum of five (5) years of experience in ICT networks security in reputable institutions. Full qualifications and certification in CISCO professional program including CISCO security systems and Knowledge and experience on CISCO Telepresence is an added advantage. The ideal candidate should demonstrate in-depth understanding of IT Systems security; including Firewalls, Anti-viruses, Anti-SPAMs and systems intrusion prevention skills. She/He should also demonstrate, planning, interpersonal, communication, and report writing skills. She/He must be ateam player and must be fully conversant with modern IT trends andtechnologies, and the EAC and its goals. The above positions are tenable for a contract of six months and offer attractive salary and fringe benefits including medical scheme and insurance cover. All candidates applying must have qualifications that are recognized by the relevant national accreditation body in their respective Partner State. This condition is applicable for locally and internationally attained qualifications. The EAC is an equal opportunity employer; therefore, female candidates are particularly encouraged to apply. EAC will only respond to those candidates who strictly meet the set requirements. Applications should be submitted to the address below not later than Friday, 16th March 2018.